The lenders to Jet Airways are yet to come to an agreement on firming up a rescue package for the airline, which is left with a skeleton fleet. While State Bank of India (SBI), leader of the lenders’ consortium, is working overtime to arrange emergency funds, many other banks are resisting such a move. After a meeting of banks on Friday on ways to make funds available immediately, a source in the know said lenders other than SBI and Punjab National Bank had not come on board so far to chip in with their funds. A senior executive at SBI said, “We have told the government that any rescue plan will have to meet our commercial objectives. In the last few days, it has become more complicated without airline partner Etihad’s participation.” Etihad, which owns 24 per cent in the airline, offered to sell its stake in the ailing airline at Rs 150 a share to SBI on Tuesday. Indicating that a rescue plan is extremely tough at this stage, an official in the civil aviation ministry said one should be ready for a scenario without Jet Airways. “At least in the near term, there is no sign of the airline reviving. Hence, we are preparing to redistribute and allocate airport slots held by Jet Airways,” he said. Industry executives also suggested that SBI, which is planning to hold a majority stake in Jet, will find it very hard to get a buyer. Banks do not have a good track record of finding buyers for companies in which they have done debt-equity restructuring. That had prompted former SBI chairman Arundhati Bhatt­acharya to say that banks taking ownership doesn’t work out unless they have an immediate plan to transfer ownership and a concrete plan about the roadmap of the company. 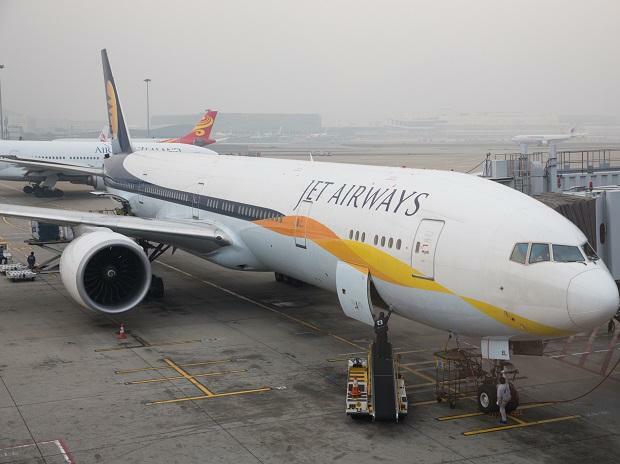 Jet Airways, on the verge of a shutdown, has been promised an infusion of around Rs 1,500 crore by the lenders provided its chairman Naresh Goyal, who holds 51 per cent in the company, steps down. But that emergency infusion will be barely enough to save Jet, argued a person tracking the developments. Infusion of Rs 1,500 crore will just defer the grounding for two months or so, said an executive opposed to the plan of bankers rescuing the airline. Back of the envelope calculation shows Jet needs an immediate infusion of at least Rs 10,000 crore, said a banker involved in the process. “The debt may be converted into equity, but what about the immediate payables and liabilities?,’’ he asked. Rs 8,000 crore was the debt as of December 2018; the balloon has certainly grown bigger, another banker said. Payments to vendors itself will amount to several billion dollars, he added. The fact that the airline is operating in losses will further add to the burden of the company, according to the executive. Bankers had drafted a rescue plan in February on the basis of Etihad participating in the rescue plan to the extent of its equity holding. With Etihad out of the picture, the earlier plan does not hold. Lenders in the consortium will need to get more details on the revised plan to take to their boards for approval, which can take time. “Lenders are expecting SBI to take a decision on the package. This weekend will be crucial,” said a public sector bank executive. Even if emergency funding comes from the lenders, attracting aviation professionals to manage the airline will be a challenge as the company’s future is uncertain, according to an analyst. “I have a safe job,” replied a former airline executive (whose name is doing the rounds as bankers’ choice), when asked if he would like to manage the carrier.